The sixth volume in the book series Annals of Bryozoology has just been published by the International Bryozoology Association. 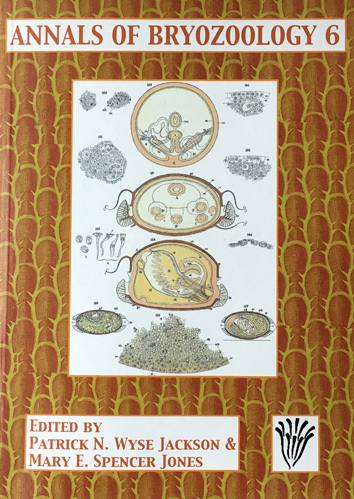 Conceived and edited by Patrick Wyse Jackson (Geology, Trinity College Dublin) and Mary Spencer Jones (Life Sciences, Natural History Museum, London) the first volume appeared in 2002. This book series holds a unique place in scientific literature as it focuses on the history of research into a particular phylum, the Bryozoa. These colonial organisms have a long geological history and today are found in freshwater and marine environments where they frequently encrust a variety of substrates, both natural and artificial. In recent years the spread of some invasive bryozoan species has resulted in their arrival on Irish shorelines. The current volume includes assessments of the research of palaeontologists from Scotland and England, as well as biologists from Lithuania, Germany and Britain who studied freshwater and marine species. Further papers deal with bryozoan terminology and classification.